Formal recognition of farmers’ rights is essential, not just in enabling farmers to be stewards and innovators of agricultural biodiversity, but to ensure the conservation and sustainable use of plant genetic resources for food and agriculture, now and in the future. Since 2013, the Global Forum for Agricultural Research and the Development Fund of Norway have been working together to raise awareness of farmers’ rights, including developing capacity, supporting agricultural seed fairs, and holding workshops and national meetings. 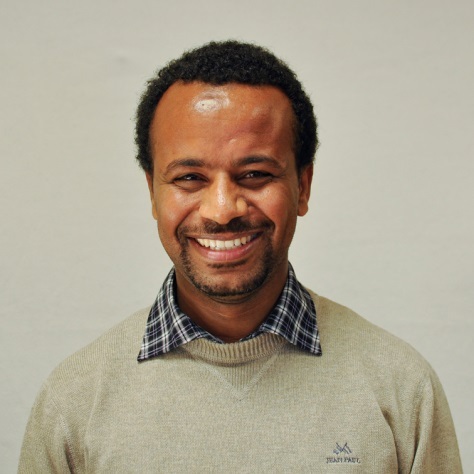 In the first of a series of interviews with organizations working on this critical issue, Afshaan Shafi spoke to Teshome Hunduma to find out more about the work of the Development Fund. The International Treaty on Plant Genetic Resources for Food and Agriculture recognizes farmers’ rights under Article 9 of the Treaty, and calls upon national governments to implement these rights. The Global Forum played a pivotal role in the adoption of the International Treaty and has continued to support its implementation, particularly in the sustainable use of plant genetic resources and farmers’ rights. As an open, inclusive, multi-stakeholder mechanism, the Global Forum has brought together farmers, researchers, policy makers, civil society organizations, non- governmental organizations and other relevant stakeholders to support implementation of farmers’ rights in Honduras, Guatemala and Malawi. This work, led by Global Forum’s Secretariat, has underpinned the efforts of other organizations to support the role of smallholder farmers as custodians of plant genetic resources and innovators of food crops relevant for food security, and by promoting and realizing Farmers’ Rights at local and national levels. The Development Fund of Norway supports small-scale farmers in their fight against hunger and poverty. They work through local partners in Asia (Sri Lanka & Nepal), Africa (Ethiopia & Malawi) and Latin America (Honduras & Nicaragua), on development projects related to food security and agricultural biodiversity, particularly in the face of climate change. When did the Development Fund of Norway start getting involved with farmers’ rights? (We) started working on agricultural biodiversity in the mid-1990s, as part of the global initiative called the Community Biodiversity Development and Conservation Programme together with a network of organizations that supported the sustainable use of plant genetic resource for food and agriculture. (Then) the Development Fund developed its own program on agricultural biodiversity that includes policy work specifically on farmers’ rights. The Development Fund program on agricultural biodiversity was already active on farmers’ rights when the governing body of the International Treaty on Plant Genetic Resources for Food and Agriculture had its first session in 2006. At the higher level, ( we) also supported the Lusaka Consultation in 2007, the Global Consultation on Farmers’ Rights in Ethiopia in 2010, as well as a project “farmersrights.org”, both financially and with experience from the field. 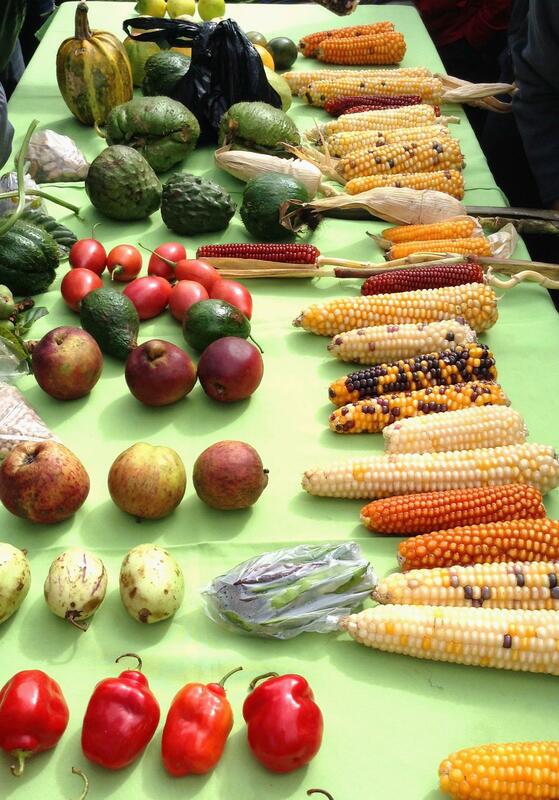 Increased awareness of the role of agricultural biodiversity for food security and climate change adaptation, and approaches to conserve and sustainably use plant genetic resources for food and agriculture, such as community seed bank practices, participatory plant variety selection and breeding. The Development Fund of Norway has also contributed to the policy frameworks and regulations that need to be in place to secure farmers’ rights and to support their practices for conservation and sustainable use of plant genetic resources in countries where we are providing support. Empowerment of farmers’ organization is part of this work and has resulted in improved participation. In general, ground practices have been combined with policy work, and this has inspired a number of stakeholders in the countries where we work. But much remains to be done on this, as practices need to be mainstreamed and the policy environment should support implementation. How has the work done by your organization and the Global Forum helped promote farmers’ rights? It has contributed enormously by creating awareness and providing space for crafting positive policy environments for the implementation of farmers’ rights. It has also provided technical support for stakeholders on how to formulate national seed policies and farmers’ rights acts. Has this new initiative to build capacity in farmers’ rights impacted on national policies? Yes. For example, in Malawi, this new initiative – to build capacity in farmers’ rights implementation – has contributed an input to the formulation of the national seed policy. In general, awareness about farmers’ rights has grown and is on the rise in the countries where we work. This was not the case before. We have to continue the work and do even more. What do you think is the biggest challenge in implementing farmers’ rights? How do you think this can best be addressed? I think the biggest challenge is contradicting national legislations. There is no harmonization between seed laws, plant variety protection and farmers’ rights that supports developing country agriculture. This is related to contradicting international instruments like UPOV (plant variety protection) and the Treaty (farmers’ rights) at the international level, which countries are party to. Another continuing challenge is the lack of capacity both in practices and policy formulation on farmers’ rights. Awareness among policy-makers, in line with the needs and realities of national agriculture, is the key to addressing some of these challenges. Then those working in areas of plant variety protection, patent, seed laws, seed policies, and farmers’ rights should come together and agree on what is the best for the country. In this regard, external pressures – like conditions for plant variety protection, or patents in free trade agreements and the push from international bodies, like UPOV – should be carefully handled by countries. The development of training materials, documentation and training of key stakeholders will help raise awareness on these issues. Decisions should be taken in consultation with multiple stakeholders, including farmers.